LilleBaby Tie the Knot wrap is essentially a piece of fabric that ties the baby to the parent. It has several unique features that make this carrier stand. This wrap offers comfortable wearing for both the parent and the baby at a moderate price. In this review we will let you know all the advantages and disadvantages of this baby wrap. 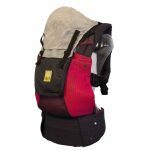 You’ll find out all you need to know in order to make the right choice when purchasing a baby carrier. Take a close look at other parents’ reviews to help you make up your own mind. The wrap comes in five colors (black, gray, navy, purple, turquoise) which makes it a great choice for parents who both like to wear their baby. Tie the Knot wrap is large and stretchy so it can fit the wearer of any size. Another bonus for moms and dads whose height and size significantly varies. No additional insert is required to wear a newborn. LilleBaby Tie the Knot wrap provides simple and discreet breastfeeding. The design of this wrap offers sound sleeping for a newborn. Thanks to the stretchy fabric, it is easy to get a good fit. This wrap is very light weight and great for use in the summer. I love the elastic ties on the end – my wrap never has to touch the ground while I’m wrapping. I did notice that there was a small hole that formed on the inside of the wrap on the pocket. I contacted customer service and the representative (Keely Knight) was SO helpful and accommodating. Very happy with the wrap and the customer service! As most of the stretchy wraps, this one is good for babies under 20 pounds, which means that after a baby turns 12 months, this carrier will become almost useless. It is still possible to carry a toddler in this wrap but most parents feel as if the carrier stretches too much and becomes unsafe. Only one front carry position (chest to chest) is recommended for this wrap which significantly limits the older baby’s view of the world. This carrier has a high learning curve. It can take a while to put it on and then to take the baby out. LilleBaby Tie the Knot Wrap has a unique special feature that other similar carriers lack. The roll up pockets prevent the fabric from dragging on the ground while putting the wrap on. 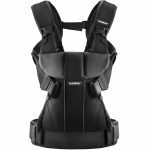 The neck pocket doesn’t just give the parents a place to put small things such as cell phones, diapers or pacifiers, it also offers extra neck support. It is important to note that the manufacturer of LilleBaby Tie the Knot wrap recommends only one position which is “Front Carry Chest to Chest”. All the other positions are not deemed safe by the manufacturer. However, experienced parents who have been dealing with other wraps know that it is possible to carry the baby in two more positions. We would like to stress that carrying the baby in the positions not recommended by the manufacturer might not be safe. Also you will not find any instructions on how to place the baby into this wrap to achieve the other two positions. This classical baby wearing position is perfect for newborns. In fact, you will probably be using it until the baby grows to be about 9 months old. This position is perfect for getting some sound sleep and discreet breastfeeding. This position becomes useful when the baby reaches about 6 months and will want to see the world around her mother. This position is very useful for moms who are used to carrying their babies on their hips. It is a natural position with one disadvantage: one of the parent’s hand loses the freedom of movement. The Tie the Know wrap is made out of soft Tencel fabric. It is lightweight and very breathable which allows the parents to wear this stretchy wrap in the warm climates. Usually, wraps are not the carrier of choice for the hot summer days since there is a lot of fabric tied around the mother and the baby. This wrap can be called an exception for its breathability. Tencel fabric is organic. It’s made out from eucalyptus trees. The process of making the fabric is ecological. So the carrier is 100 % environmental friendly. The wrap carriers offer the most safety when they are put on correctly. If you are not sure that you are wrapping your baby the right way, the safety will suffer. Also carrying the baby in the positions not recommended by the manufacturer can make the wearing unsafe. Overall, LilleBaby Tie the Knot wrap carrier offers the baby the most safety possible. However, once the baby reaches about 20 pounds, the fabric might stretch a little too far for the parent’s taste and you might feel as if the baby is not tied properly. This is my new absolute essential baby item. 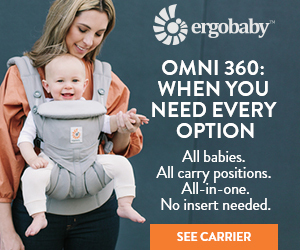 I have an Ergo that I love, but it doesn’t work with a newborn (the Ergo insert is fine for the winter, but too hot for the summer). I have been using this wrap for 5 weeks now (began using when baby was 2 weeks old & 8 lbs) and it goes with me everywhere (park, stores, walks, family reunions where I don’t want baby being passed around….). It is extremely lightweight and breathable – I have no problem with it in 90+ degree weather. Baby stays snug and comfy and almost always falls asleep within a few minutes of being wrapped. I love that it allows me to be hands free to chase my toddler or walk my dog. I’m even able to comfortably carry my toddler while wearing my baby in this carrier. My only complaint is that because it is so lightweight, as baby gets bigger, it does sag more than really stretchy versions of this wrap. My Boba holds baby in place a bit better as he gets bigger, but it is way too hot to use in the summer. The sag is minimal and totally safe still, but when baby gets bigger I’ll switch to my Ergo. Between this wrap and my Ergo, I’m totally set on all baby wearing needs. One of the main problems most people have with this wrap is putting it on. There are special instruction videos to help moms and dads deal with tying this wrap. However, you must be ready for the fact that you won’t learn anything from the first time you watch the video. There are over 10 steps to putting on this wrap, so it will take at least an hour to learn how to do it. Removing the baby from the wrap is not too easy as well. It will take some time and can lead to waking the sleeping child, which is another unfortunate disadvantage. However, once you get really good at operating this wrap, the process will become much faster. The question is whether or not the parents are ready to spend that long of a time perfecting their skills. The high learning curve of this wrap is something that can scare off most of the inexperienced baby wearers. However, if you’ve dealt with slings before, you won’t have any trouble with this carrier. 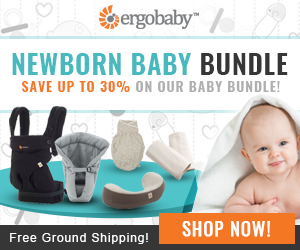 How Comfortable is Baby in Lillebaby Tie the Knot Wrap? LilleBaby Tie the Knot wrap is designed to be a perfect carrier for the baby’s comfort. The baby’s legs are in the M position at all times. The soft fabric makes it pleasant to eat and sleep in. The neck pocket gives extra head support for the newborns. The numerous layers of fabric are not a problem thanks to the fabric’s breathability. The only disadvantage to the baby’s comfort is the absence of position variety. Chest to chest front facing position might become annoying to a 9-month baby who wants to see the world around her. Is Lillebaby Wrap Comfortable for Parents? The wrap is well-designed to offer good weight distribution over both shoulders, the back and the waist of the parent. This makes it comfortable to wear the baby for long periods of time. However, once the baby gets heavier than about 20 pounds, the back aches are possible. The softness and breathability of the fabric make the baby wearing pleasurable in any weather. However, the high learning curve makes it hard to start enjoying the baby wearing with this wrap as fast as possible. I wish this wrap had been around when my oldest was a newborn!! I had a Moby wrap and it was so thick and hot in comparison! The lightweight fabric is amazingly cool and comfortable. As with all stretchy wraps, there’s a bit of a learning curve on getting it tied nice and snug, so it took me a couple of trys to get it nice and snug. I wore my 9w old niece when it was 90° and we were both very comfy. I’m still trying to figure out how to tie the ends to keep them from dragging on the ground. But I love the pocket in the front and the support. I even managed to get my 2 year old to give it a go at 27lbs. The Tencel fabric is machine washable. However, it is not drier compatible and needs to lay flat to dry. If you live in a cold or humid climate, you will probably need to say goodbye for your wrap for at least one day while it’s drying. It is recommended to use a delicate washing machine cycle for cleaning this wrap. Thanks to the roll pockets this wrap doesn’t get dirty as often as the other wraps, the fabric of which drags on the floor and the ground while the parents are putting it on. However, you might still need to wash it frequently in order to eliminate the stretching factor. After the machine wash, the wrap tightens up. As is the case with the most wraps, LilleBaby Tie the Knot carrier is perfect for doing chores around the house, walking the dog or making short trips to the grocery store and the mall. Most parents prefer to use this carrier for their everyday activities. It is not a good choice for lengthy and possibly dangerous outdoor exercises such as hiking. 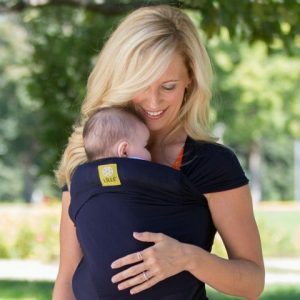 Should I Buy the Lillebaby Wrap? LilleBaby Tie the Knot wrap is made out of organic Tencel fabric. It is one of the few wraps on the market that is light and very breathable. It can be used in the hot climate without making the parent and the baby sweaty. This carrier has two unique features. One is the roll up pockets. They are designed to keep the fabric from dragging on the floor or the ground during the process of putting the wrap on. This prevents the parents from frequently washing the wrap, which is an advantage since the fabric is not dryer compatible and can take a while to flat dry. The second feature is the neck support pocket that offers extra storage space as well as good head and neck support. The carrier has a pretty steep learning curve. If you decide to purchase this wrap and have no previous experience with such carriers, you need to get ready for some practice. There are many steps to putting the wrap on correctly and while it might seem simple on the video, in reality it is pretty hard to wrap it. Tie the Knot wrap offers safety and comfort for the baby and good weight distribution for the parent’s back. However, due to its stretchy nature, it will not feel as safe wearing a heavier toddler as it is wearing a light-weighted newborn. We would recommend this wrap to parents who are not afraid of learning how to put it on. It is great for any climate and provides proper safety for the baby. However, once the child reaches about 20 pounds, you would probably need to look for other carriers, such as SSC.